Morning! 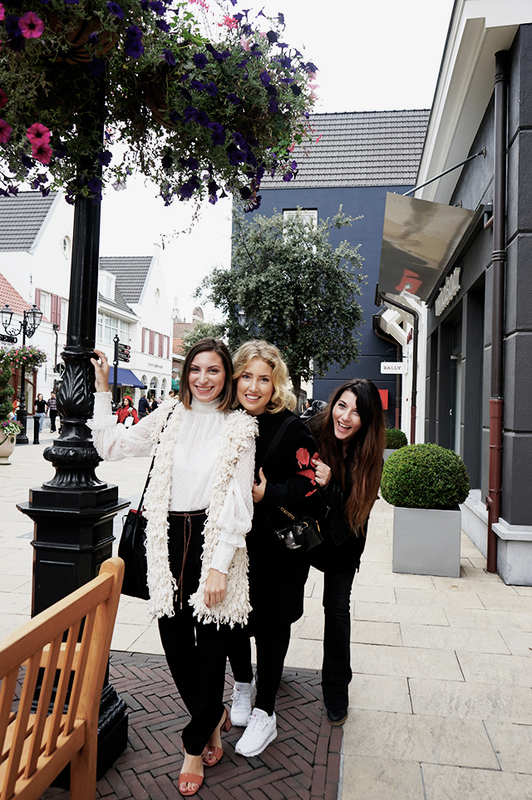 You might’ve seen I spent the whole day at Designer Outlet Roermond with the ilovefashionbloggers team yesterday. 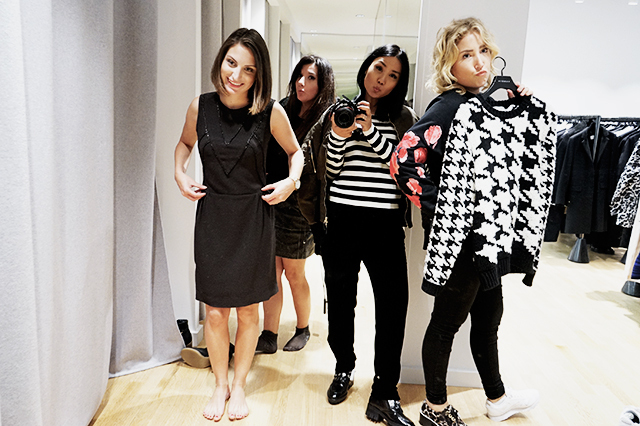 We where invited for a fun shop experience and searching for some perfect F/W items for the upcoming seasons. It was heaven! 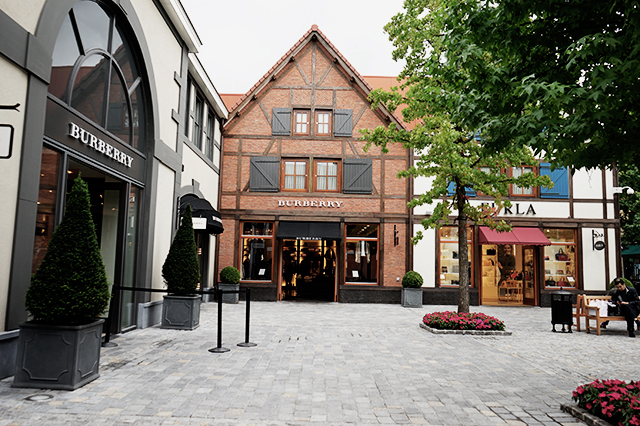 More than 150 designer shops that offering last season’s coolest and cutest items for ‘low prices’. The outlet consist of 3 phases, but they are building a 4th phase which will finish in 2017. 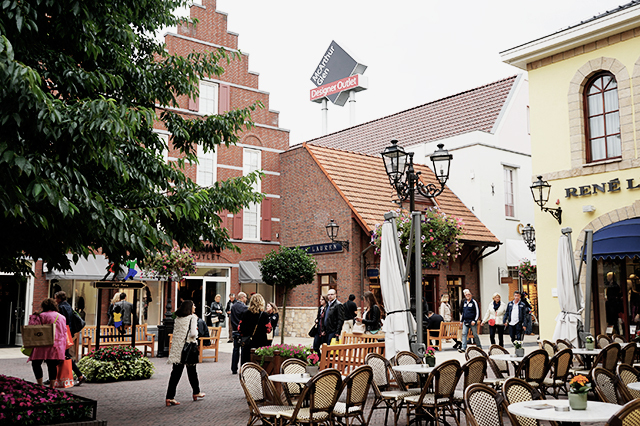 This will make Designer Outlet Roermond the biggest of Europe. 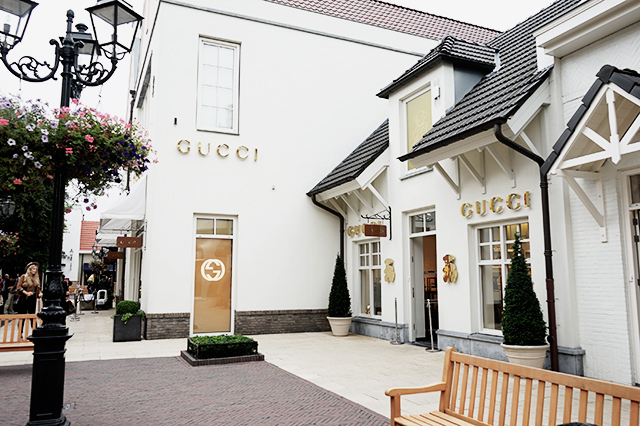 This is already my third time I went to Designer Outlet Roermond. Curious at my experience then? You can find it HERE and HERE. 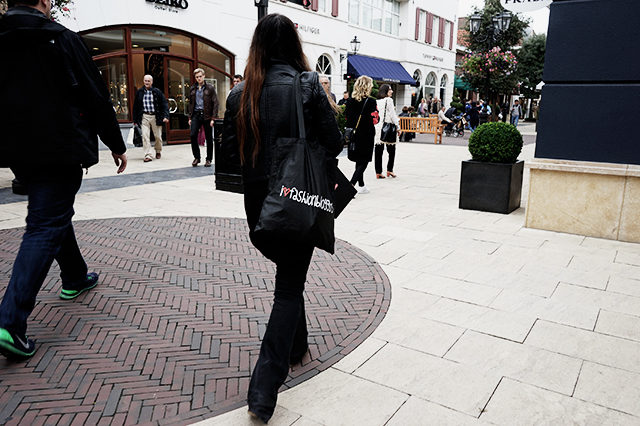 When I visited the outlet it always give me the feeling that I’m on a holiday. The location and the atmosphere provide for that I think. After a warm welcome with drinks we got a little tour through the outlet. Jolanda told us that they just opened some new store’s like L’Oréal, Sandro, Versace, Geox and L’Occitane. We all where excited for the Sandro shop. 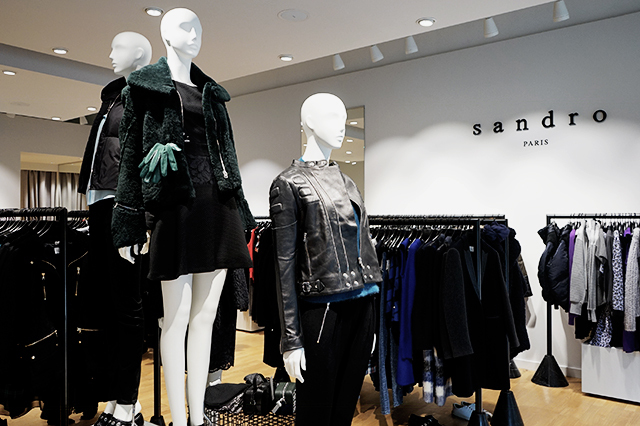 After the tour we went straight to the Sandro shop. And yes the damage was already done in 5 minutes. I felt in love at one specific item. The funniest part it’s an item that I didn’t wanted to buy at all. In my mind I already decided that I wanted a new Furla bag. If you follow me for a while you probably know I’m a big Furla lover. My little black Furla bag and I are inseparable. So I put the item back on the rack and our shopping adventure continued. 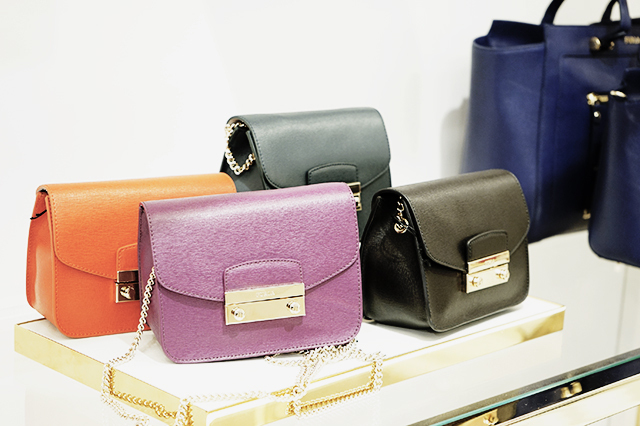 We went to Prada, Mulberry, Burberry, Michael Kors and of course Furla. Yep I was in heaven, but still that item from Sandra was still in my head. At the Prada we spot very cute Miu Miu bags. They where very similar to the Furl bags. Still the item from Sandro was screaming my name so after a delicious lunch at La Place we went back to Sandro and I bought it! Whooohhhh! I’m so happy and soon I will show you what I got. The whole afternoon we spend our time in Sandro, haha. Try everything on to search for the perfect F/W outfits for example Fashion Week this month. 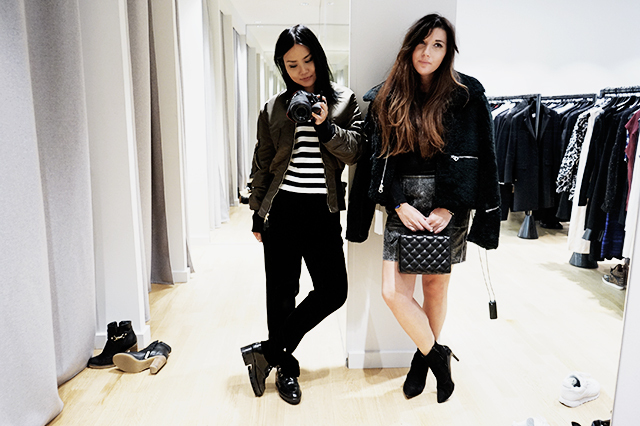 Tomorrow you will see our looks on ilovefashionbloggers and of course I will show you my look on my own blog. So stay tuned! 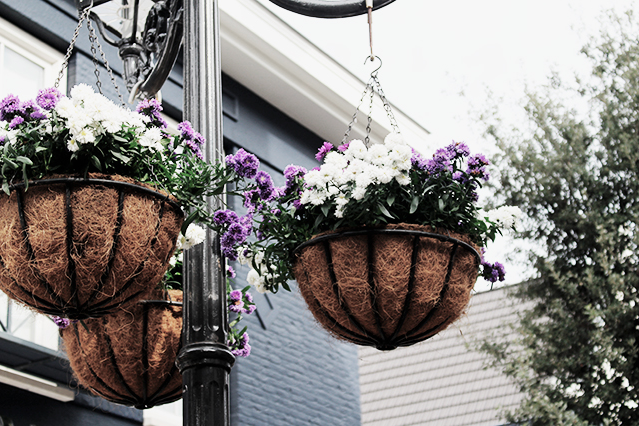 I love the pictures that you took while you were there! Ik ben hier nog nooit geweest maar ziet er leuk uit! Outlets zijn zo leuk, ik ben benieuwd wat je gekocht hebt! Wat een leuke foto’s! Lijkt me echt leuk daaar ben er alleen nog nooit geweest! Ben ook wel benieuwd naar je aankoopjes :)! Nora onlangs geplaatst…About that statement! Ik woon zelf in de buurt van het outlet maar kom er veel te weinig vanwege de drukte! Super leuke en spontane foto’s allemaal! Ik ben ook een keer in deze outlet geweest en vond het er heel leuk! Leuk verslag! Je kunt daar echt goed winkelen! I love these outlets! In Europe I only know La Vallée outside Paris. Great post! So pretty! Love this place! Very cute look as well! danielle onlangs geplaatst…Dog Friendly Blueberry Cupcakes for Charles 1st Birthday! Jullie hebben het leuk gehad geloof ik! 🙂 Ben nog nooit in Roermond geweest, eigenlijk best gek, maar het is zo’n eind weg! wat kost een furla tas daar ongeveer ? Ligt er uiteraard aan wat voor soort Furla tas je wilt. Maar zo mini bag is ongeveer €150 euro. De andere tassen variëren tussen de €100 en €400.